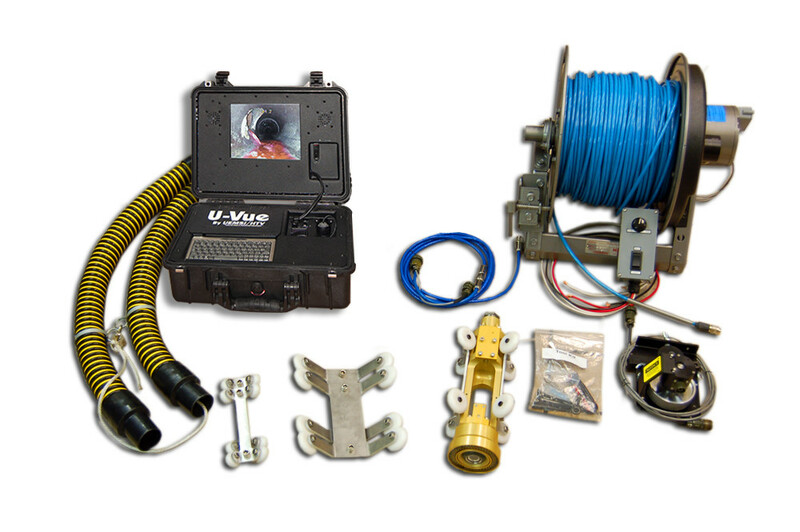 The Jet Cam™ system from UEMSI/HTV®, is American made and is designed to work with any style sewer jetter or combination machine, whether it is a trailer mount or a truck mount unit. It enables the user to inspect the pipe while doing the cleaning, and because of this ability the user can immediately determine if the pipe needs further evaluation or repair. lighthead. The system has enough light to televise up to 27” pipe, because of the high powered LEDs. A variety of skid sizes are included with this system. The nozzle jets are specifically drilled for the proper GPM and PSI of the users’ jetter. U.S. Jetting is a registered trademark of U.S. Jetting, Inc.